Candytuft opens snow-white flowers from spring into early summer. This groundcover perennial grows best in well-drained soil. Avoid heavy clays, which retain water in winter. 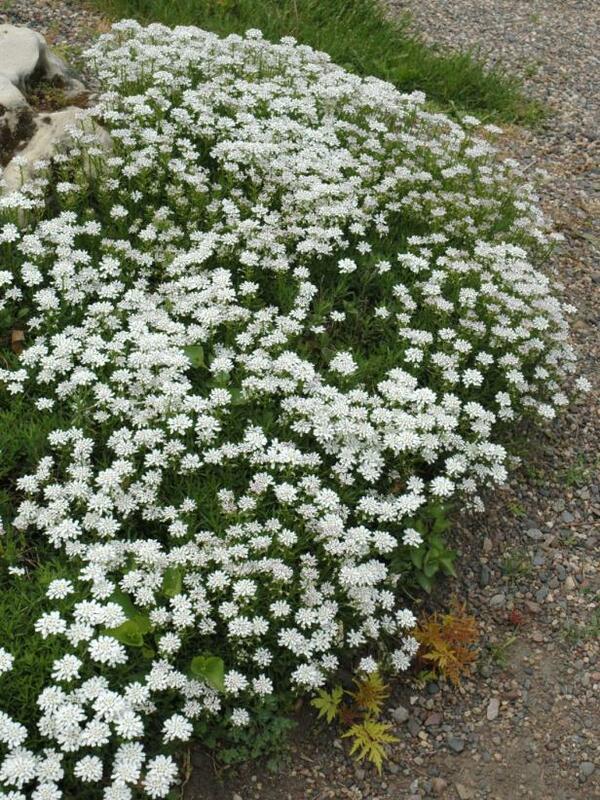 Use candytuft to tumble down a slope or drape over a stone wall. Hardy in zones 3 to 9.